Stop the car! This is the one you have waited for... a 3 bedroom 2 full bath open floor plan with plenty of amenities. As you enter this lovely home you walk in to the foyer and have the living room on the right and straight back to the kitchen and dining area. 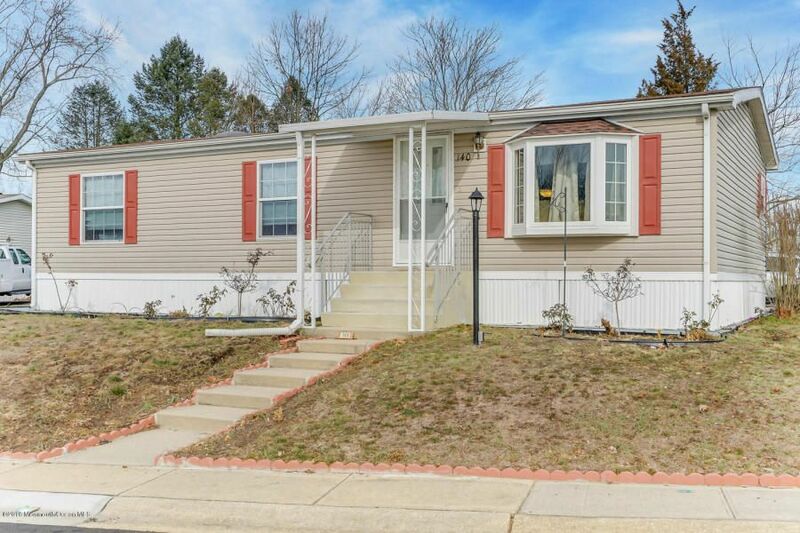 This home has been updated and ready for new owner. Gas cooking stove, dishwasher, refrigerator and dishwasher all included. The bedrooms are updated with neutral carpet and bathrooms have updated vanities and plumbing fixtures. The monthly fee includes taxes, garbage removal, recycling, snow removal, clubhouse usage and more. Game room at clubhouse, bocce, trips to AC and more. Close to shopping, hospitals, doctors, and travel to Philadelphia in less than an hour. Lighted carport, shed for storage and a deck for entertaining!